We ordered the wrap and the bowl. 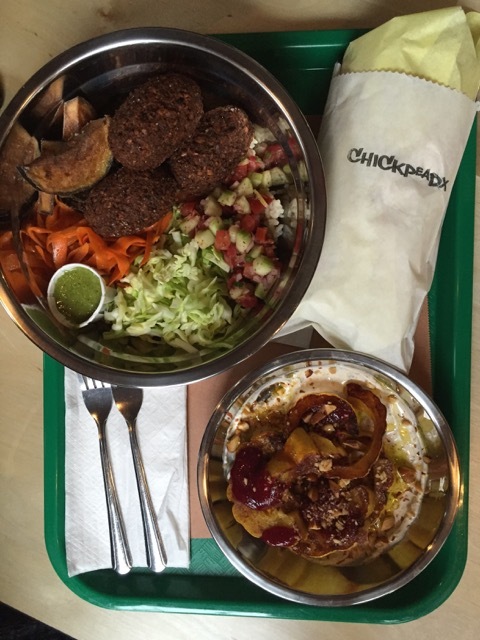 Falafel… something that I have tried numerous times and each time I’m walk away thinking “that was just ok.” The owner of Chickpeadx contacted me right after they opened. I’ll be honest, I wasn’t in a hurry because I’m not a huge fan. They are now located inside The Zipper, which is great place by the way. I knew there would be other choices for the rest of my family, but my daughter jumped on board and order something as well. Both the bowl and the delicata squash were amazing. We were both really impressed. 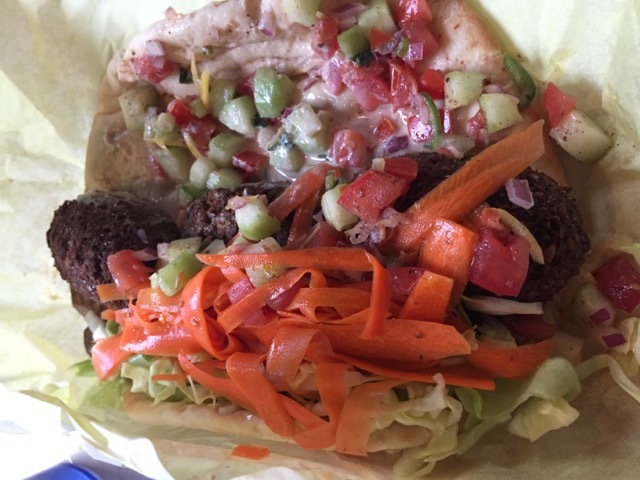 This has to be the best falafel I have ever had. It did not lack flavor at all. The combination of fresh ingredients in the bowl and the wrap made this an outstanding lunch dish. Not only that, but I had left overs and I even heated them up and had them again the next day. 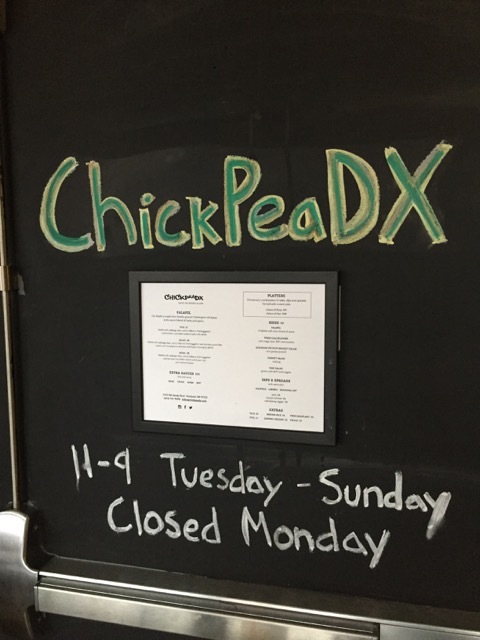 So, to the owner of Chickpeadx I am so sorry I took so long to get over to you. To everyone else, get over there. It is totally worth the stop. Atmosphere at the Zipper is pretty awesome. Great bar there called Pay Dirt, which you can eat inside if you want or you can also eat in a communal area shared with all the other restaurants. Pricing is between $8 – $9 for entrees, but if you want to really try it all get a platter for $14. Drinks were limited, but they did have a few local, natural drinks if I remember, but there is also a bar nearby if that’s what you are looking for and you can take your food in there. Service was great. The guys working were super helpful and made sure our first experience was the best. Don’t miss any of it. Sounds crazy, but not sure how you can go wrong. The delicata squash was spectacular for sure. Located in the Zipper on NE Sandy.